Pros: Dual valve head. Cool oval barrel design. Lightweight. Cons: Difficult to pump at higher pressures. Super tight grip on valve stem makes it difficult to pull off. A great looking, lightweight frame pump from a trusted name, the Schwinn Aluminum is very affordable and has it's place among low volume tires and sports equipment. Unfortunately, it is so difficult to pump at higher pressures that we recommend it stay home when you ride a road bike. Right off the bat, we really loved the looks of the Schwinn Aluminum. It has a sleek, oval shaped barrel in a brushed metal that is more vintage-looking bronze rather than the typical silver. It has a sturdier, beefier, dual valve head which also makes its looks unusual and almost retro. High marks for style. The Alloy is extremely lightweight, weighing the same as our top pick, Lezyne's Pressure Drive, and it mounts under your water bottle cage easily, meaning it also scores very well in the portability category. Bringing the score down for the Schwinn Aluminum is its overall ease of use and ability to inflate a tire quickly and somewhat easily (let's face it - no frame pump is effortless). 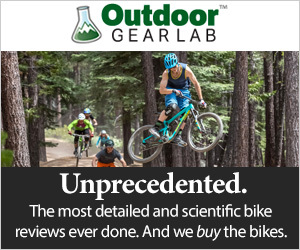 At lower pressures it works well and is similar to the Topeak Peakini II for mountain bikes, but we had immense difficulty getting up to 100 psi, making it almost useless for road tires except to get you to the next bike shop to use a floor pump. We also found that after using it on Presta valves it was a struggle every time to get it off the valve, causing the air to leak out and sometimes bending the valve. The Schwinn Aluminum is a basic, affordable pump that is best for at-home, low volume equipment: kid's bikes, strollers, sports equipment, etc, or for low volume tires such as cruiser bikes.